Welcome to the Department of Justice RP Community. The Department of Justice has been serving the public for an astonishing half a decade of service. Our unique approach to realism and professionalism along with a family orientated style of role play is what molded this community into what it is today. 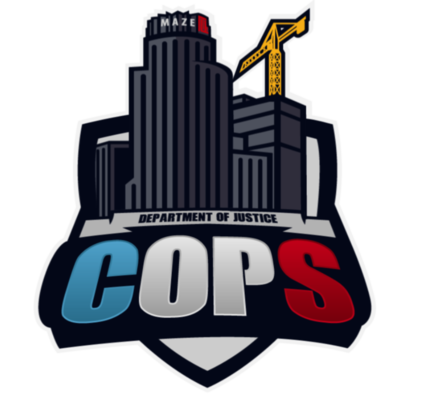 Having a place where people get together is one thing, but having a community that is built off of the love of gaming and the willingness to better yourself and the people around you is what makes the Department of Justice an outstanding community to be apart of. Over the past five years of operation here at DOJRP. We have spent countless hours, minutes, and seconds creating a standard, a way of life, and last but not least a fan base of tens of thousands of people who enjoy watching our unique and genuine style of role play. We pride ourselves knowing that we can provide entertainment for the amazing number of spectators and fans that we have. Our half decade of experience pushes us to become better than the day before, striving to stand out and be unique, to be ourselves and to do what we love most. Role Play. We look forward to having you join us on the streets of San Andreas. Take a moment to look through our different Departments that we have to offer. Departments that are available for all future members can be found under the "Departments" tab of the website. Due to the high number of applications received each month, applications can be submitted through the 1st-7th of each month. All applications must be submitted during this time. Applications can be found under the "Open Applications" tab on the website. This function will be unavailable during the non-active days of the recruitment cycle. Please read all guidelines and stipulations before submitting an application. If you are interested in becoming apart of the community without a gaming PC, then we encourage you to join our Communications division. The Communications division allows those without the capabilities of physically joining us in game, to still have the ability to join and expand our team. We strive to ensure no one is left behind. If you have any questions or are unsure on how to proceed. Please contact a staff member via the website or look through the frequently asked questions (FAQ) under the "Resources" tab of the website. This community adheres to an age limit to help maintain our goals for operational success. Everyone age sixteen and up are allowed to submit an application and be eligible for membership in the Department of Justice RP Community. There is no exceptions to this age limit. We want to thank; you, our Staff, Administration, fans, and members of the Department of Justice Role Play community for taking the time to dedicate yourself and thrive this community that we call home. Together the future is Justice. Please make an account and submit an application.